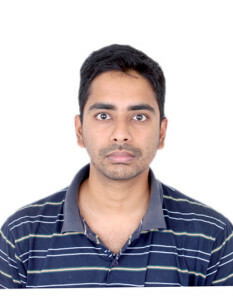 Mechanical Engineering at IIT Madras » Dr. Varunkumar, S.
Dr. S Varunkumar received his PhD from Indian Institute of Science, Bangalore, in 2012. He worked as a research associate at IISc from February, 2012 to May, 2013 and as Assistant professor (on contract) till December, 2013 at IIT Ropar, Punjab, before joining IIT Madras. His research interest includes thermo-chemical conversion of biomass and coal for energy and fuels and modeling instability in solid rocket motors. S Varunkumar, N K S Rajan and H S Mukunda. Single particle and packed bed combustion in modern gasifier stoves -density effects. Combustion Science and Technology, 183(11):1147-1163, 2011. S Varunkumar, N K S Rajan, and H S Mukunda. Experimental and computational studies on a gasifier based stove. Energy Conversion and Management, 53(1):135-141, 2012. S Varunkumar, N K S Rajan, and H S Mukunda. Universal flame propagation behaviour in a packed bed of biomass. Combustion Science and Technology. 185 (8):1241-1260, 2013. S. Varunkumar, M. Zaved, H.S. Mukunda. A novel approach to composite propellant combustion modeling with a new Heterogeneous Quasi One-dimensional (HeQu1-D) framework, Combustion and Flame, Volume 173, November 2016, Pages 411-424. (link to MATLAB code for HeQu1-D). S Varunkumar and H. S. Mukunda. Aluminized composite propellant combustion modeling with Heterogeneous Quasi-One dimensional (HeQu1-D) approach. Combustion and Flame 192 (2018): 59-70. V M Jaganathan and S Varunkumar. Net carbon-di-oxide conversion and other novel features of packed bed biomass gasification with O2/CO2 mixtures. Fuel 244 (2019): 545-558. Arvind Iyer, Balamurali N R, and Varunkumar S. Random packing of multi-modal spheres in a cubic box – a model for understanding AP/HTPB based composite solid propellants. International Autumn Seminar on Propellants, Explosives and Pyrotechnics, Shandong Province, China. September 2015. Jaganathan V. M. and Varunkumar S. Unified igntion – de-volatalization model fixed bed biomass gasification/combustion. 11th European Conference on Industrial Furnaces and Boilers, Portugal, April, 2017. Ali S.M and Varunkumar S. On the extinction strain rates of counter-flow diffusion flames. 11th ASPACC, Sydney, December, 2017. Vishal Wadhai and Varunkumar S. Linear instability and DC shift in tactical missile solid rocket motors – a computational study. 11th ASPACC, Sydney, December, 2017. S Varunkumar, V M Jaganathan and N Ajey. Application of Universal Flame Propagation Behaviour in Biomass Packed Bed to Design of Grate Furnaces. NCICEC, Dehradun. November, 2015. M Zaved (MS) – Heterogeneous quasi one dimensional model for steady state combustion of AP/HTPB based composite propellants (pdf). N Ajey (MS) – Experimental and computational studies on an alpha type Stirling engine for combined heat and power applications (pdf).